Planning your next romantic getaway? Hoping to spice up your love life on a much needed couples retreat? Consider Napa for your next romantic trip to bring you and your mate closer than ever. From wine tasting, to hot air ballooning, to making chocolate together, Napa has tons of activities like this to spark a flame and help you and your loved one reconnect in a fun and exciting way. 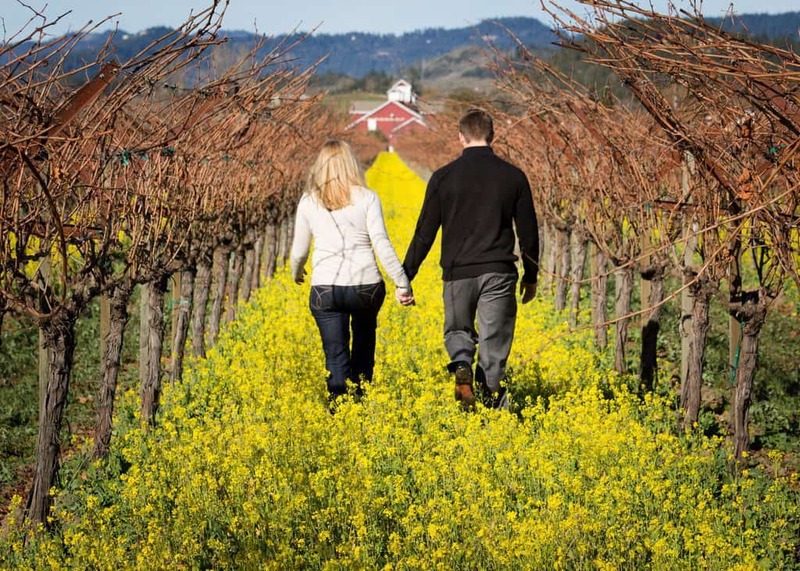 There is something for everyone in California’s Napa Valley, but it is especially enjoyable for couples looking to spend some alone time together. Here are the best ideas for a romantic getaway Napa has to offer. Can you say amazing! A hot air balloon ride is the perfect romantic activity: it’s a little scary, so you and your beau can console each other. The views are breathtaking and you can find commonality in the things you find beautiful together. It’s intimate: you don’t get much closer to someone than when you are in a hot air balloon; there’s not much room in those things, you know. It’s just an incredible experience, overall. Relationships are so serious all of the time. Why can’t we just all kick back and have a little fun? During your stay in Napa, book a tour of a real life “Willy Wonka” chocolate factory. Professional chocolatiers walk you through their craft and let you sample their wares. What is more romantic than chocolate? Not too much, really. It’s sensual and playful, and everyone loves it. Give it a whirl and rediscover the fun side of your relationship! Take Some Risks – You Only Live Once! If the slow and steady rise of a hot air balloon isn’t going to cut it for a romantic getaway, why not give a fast car a try? It’ll cost you more than a peaceful hot air balloon ride, but you can book a private session with a racecar driver and take a real race car out for a spin…on a track. But still! If you are the kind of couple that loves adrenaline and loves to get in on the adventure, then booking a fast car session is the way to go! It’s totally romantic, and nothing does a world a good for the relationship than adrenaline. Trust us. You can’t visit Napa and not drink wine. While you probably shouldn’t drink all the wine, per se, you can definitely sample all the wine. The best way to make sure you are trying the best Napa has to offer is to book a wine tasting tour. Some tours will even take you to multiple vineyards. It’s a relaxing, intimate experience that brings you the finest wines and cheeses anywhere in the world. It’s a great way to spend an afternoon with your loved one. Whatever you find yourselves doing in Napa, you won’t be disappointed. Warm weather, plenty to see and do, lots of great places to stay: your perfect romantic getaway is just waiting for your in Napa. So what do you think? Would you consider visiting Napa for a romantic getaway? Do leave a comment and share. Next What’s the best sleep temperature for baby?